Mental Disorders, Anxiety, Depression, ADD, etc. 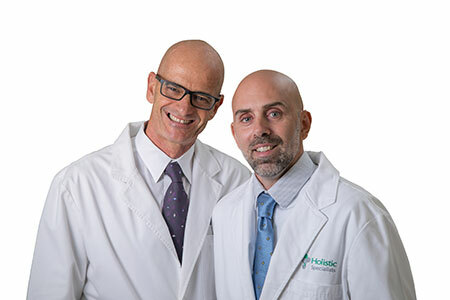 At Holistic Specialists we apply the latest in functional medicine, addressing the underlying causes of your anxiety, depression, or cognitive disorder (instead of just treating symptoms) so you can get well and stay well without unnecessary drugs or surgery. They are all inflammatory conditions. Inflammation is a cause, result, or exacerbating factor in every brain disorder. They are heavily influenced by gut health. The term “gut–brain axis” describes the close connection between the gut and the brain and highlights the association between microbial imbalance of the gut, intestinal permeability (also known as “leaky gut”), and gastrointestinal inflammation and brain disorders. They are strongly influenced by nutrient composition and balance in the diet. With these underlying causes in mind, at Holistic Specialists we focus on dietary, lifestyle, and supplement strategies that reduce inflammation, improve gut health, and provide the brain with the nutrients it needs to function properly. Due to the complexity and severity of many of these conditions, we may need additional treatment options for particular difficult cases, but addressing these root cause factors is an excellent starting place that may resolve many patient’s symptoms without further intervention. Find the root cause of your anxiety, depression, or cognitive disorder with Functional and Evolutionary Medicine, a holistic, investigative approach to healthcare that is both high-tech and high-touch. The GAPS Diet is based on the work of Dr. Natasha Campbell-McBride. Researching the SCD Diet (Specific Carbohydrate Diet), which was originally created by Dr. Haas and biochemist Elaine Gottschall to treat irritable bowel diseases, she found that she could take it a step further by describing the gut-brain connection in the book Gut and Psychology Syndrome. The GAPS Diet was originally created to treat Autism, and was later applied successfully to reverse autoimmune diseases and a myriad of health challenges that have the gut dysfunction as its root cause. The Holistic Specialists team has been trained and certified by Dr. Natasha Campbell-McBride herself, and are excited about helping you implement the GAPS diet in an efficient way. We use the diet template and modify it to individual cases with specific needs based on comprehensive diagnosis and assessments.